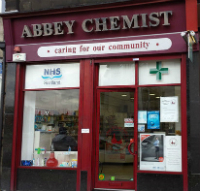 At Abbey Chemist our skilled and dedicated staff are our greatest asset and are fully trained to assist and advise you on all your healthcare needs. We value our customers’ faith in Abbey Chemist as leading healthcare providers within this community. From senior Pharmacists to counter staff, we are all aware of just how privileged we are to be entrusted with private and sometimes sensitive medical information. You can be assured that you can talk to any member of the Abbey Chemist team in total confidence and that they will act in your best interests with sensitivity and discretion at all times. The relationship between Abbey Chemist customers and staff is what our business success has been built on. So thank you for trusting us — please meet the team! Asgher qualified as a pharmacist in 1982 having worked as a Saturday pharmacy assistant, pre-registration pharmacist and subsequently manager in Boots the Chemist. In 1986, he became an independent community pharmacist. He is an independent prescriber and has special interests in pharmaceutical care and hypertension. During his spare time he enjoys volunteering for a number of charities. 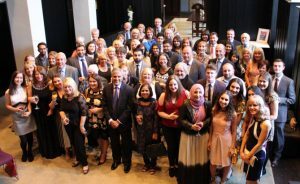 Asgher was recently appointed a Fellow of the Royal Pharmaceutical Society, an honour which recognises those who have attained distinction in their pharmacy career. After completing his pre-registration training at the Abbey Chemist Trongate branch in 2004, Abdal went on to locum for several years, gaining invaluable experience working in a varied cross section of community pharmacy. In Nov 2007 he became the manager and superintendent pharmacist at High St Pharmacy in Glasgow. As of Feb 2011, Abdal has rejoined the Abbey family, and is currently the manager of our Trongate branch. He qualified as an independent prescriber in 2013. Elizabeth qualified as a pharmacist in 1979, having completed her pre-registration year in Glasgow Royal Infirmary. Following qualification, she spent a year working in community pharmacy in New Zealand before returning to take up a pharmacy manager post with an independent community pharmacy. Elizabeth took a career break from 1985 to 1990 to raise her family before joining Abbey Chemist as a locum. She became an employee of Abbey Chemist in 2005 and currently manages the Gauze Street branch. Claire qualified as a pharmacist in 1993 after training with Lloyds Pharmacy in Kilwinning. The following 7 years involved extensive experience as a relief community pharmacist working in Liverpool, Manchester, Warrington and throughout Scotland along with gaining branch manager position in Cadishead, Manchester and in Clydebank. In 2000, she joined Abbey Chemist and became branch manager in the Lonend branch in Paisley where she gained her supplementary prescribing qualification. Since 2011, Claire now works as relief pharmacist manager for the Abbey Chemist chain. After completing his pre-registration training at JP Mackie Pharmacy in Glasgow in 2009, Siraj took up a position as Support Pharmacist and subsequently Pharmacy Manager of Wm Morrisons Pharmacy (Livingston). Over the course of a 2-year period he gained invaluable experience and knowledge working for the supermarket chain. Siraj joined the business in February 2013 as a Relief Manager. Mhairi worked as a pharmacy student within the Abbey Chemist group throughout her time at university, before completing her pre-registration training at our Lonend branch. Following qualification Mhairi spent time working as a locum pharmacist in the community sector. She re-joined the Abbey Chemist Team in 2018 as a relief manager.